Succulents should always be placed in Pots should be chosen carefully to fit the plants. Never over-pot. Over-potting refers to placing a small plant in a large pot. The large pot tends to dry out slower than a small one. This may allow the plant to become infected by organisms that breed in moist soil. Soil in a container dries out partly because the plant uses the water.the smallest container that is consistent with their needs. Ideally, the soil should completely dry out in about a week's time. Clay pots dry out quicker than plastic ones. They also allow fresh air to diffuse into the root zone. Soil remains somewhat cooler in clay pots due both to insulation and evaporation through the clay. More rapid growth of succulents can occur in plastic pots due to the root temperature differential. Better aeration can be achieved by adding perlite to plastic pots than by using clay pots alone. Plastic pots require much less labor in the form of watering. Some succulents which are difficult to grow do best in clay pots with abundant perlite and sterilized soil. Most cacti and other succulents thrive with ample intermittent watering. The top one-half inch of soil should be completely dry before rewatering. Although succulents will tolerate periodic drought, most need ample periodic rain or artificial watering. Most cacti in Arizona grow in microhabitats that receive periodic but ample seepage or run-off following rains. Cacti are more abundant in areas of Arizona having 18 inches of rain per year than in areas having 8 inches! Many cacti of Mexico grow in areas having 50 inches of rainfall annually but which also have periodic drought. 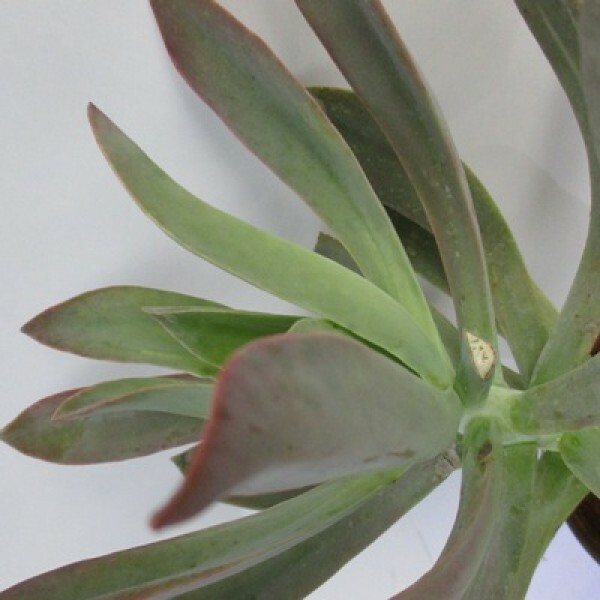 You will find that you can control the growth of succulents by varying their water supply.